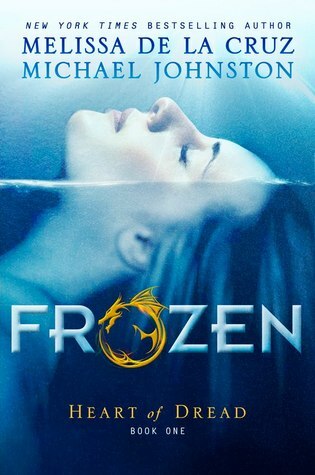 For fans of dystopian novels, Frozen fits the bill. Natasha “Nat” Kestal is just another young blackjack dealer in New Vegas, once known for its lights and glamor. She’s one of many suffering through the harsh, freezing weather like everyone else…but she’s different; marked, as they call it. Every day she fears being executed, or even worse…thrust out into the cold, to starve and die, to become a “Thriller”. Nat dreams of something new, a healed land, known as the Blue. It’s paradise, where there’s real food, clean water, and sparkling blue skies. She won’t be threatened or hurt anymore, but the only way to get there is treacherous and demanding. She has to rely on an annoying smuggler named Ryan Wesson, better known as “Wes”. Her only chance to live freely lie on a path covered in death, despair, and tragedy. She has to cheat and lie her way through, even if she is falling for that cocky smuggler. Who can she trust…and who wants her dead? This tale sends the reader spinning into an icy land where true love might win all. Frozen is really the best dystopian book I’ve read in quite a while. It had my attention from beginning to end; never slowing or moving too quickly. The pace was just right for the plot points. I completely enjoyed the premise, though it was so close to real — I could see it coming to be — that I was just a bit frightened. I’d recommend it to anyone of any age. It has all sorts of things: romance, suspense, a tad bit of horror and a pinch of magic all mixed together in a really good tale.